Working throughout Scotland on a one-to-one basis. I specialise in Natural Horsemanship ground work online and liberty and also bitless bridle riding techniques. 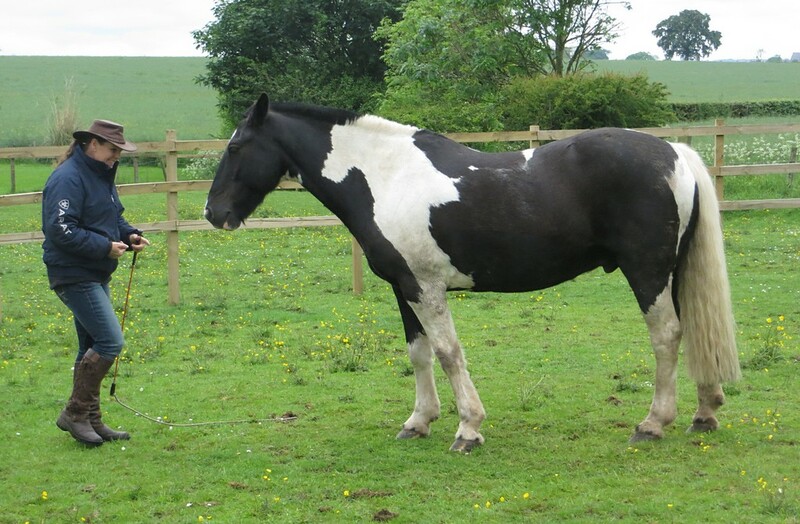 This involves getting to grips with horsemanship tools and a basic understanding of communication with your horse. 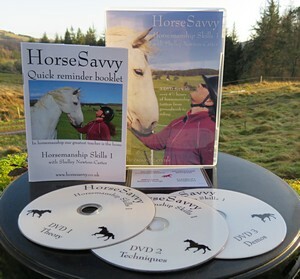 Teaching you to teach your horse how to be calm and relaxed whilst having respect of your space and requests. Looking for relaxation and co-operation from the start. 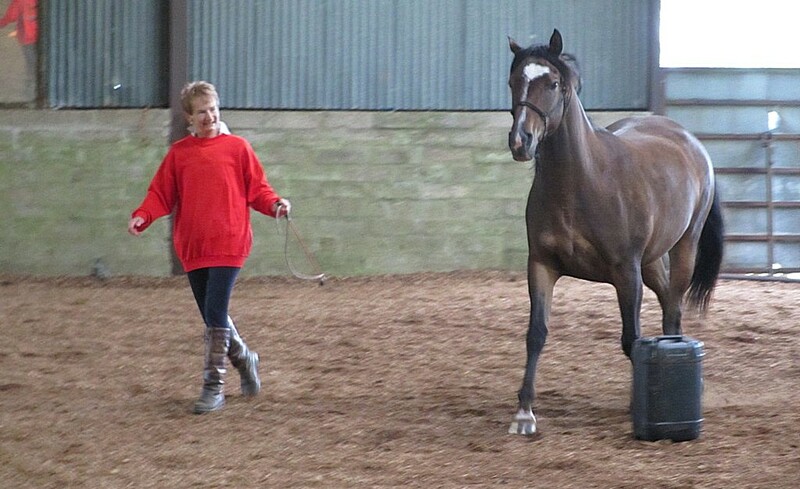 Lessons involve ground and ridden work in walk and trot. Riding skills are started by learning to use your seat connection well and for the horse to learn to listen to your body aids. 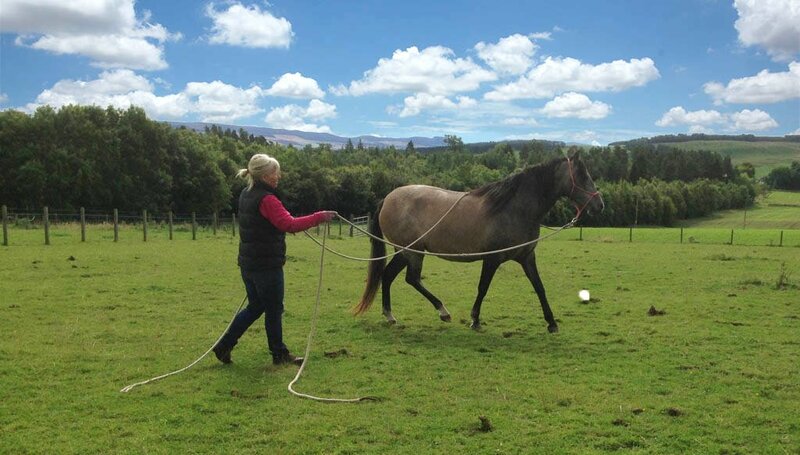 Equipment: For good results use a natural rope halter, 12′ lead rope and a short training arm with string attached. I teach bitless riding with the rope halter and lead rope. 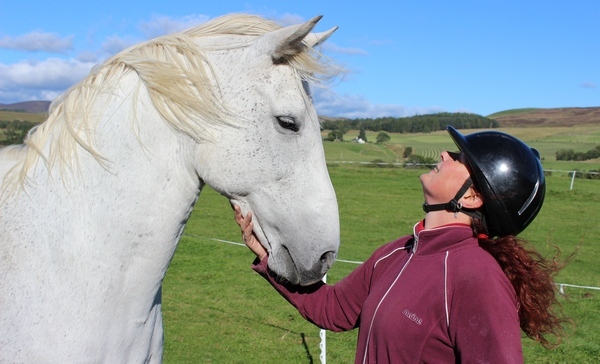 In this level I start teaching about leadership phases of intent and work towards more lightness, understanding and communication between you and your horse. This level is about having more fun and will help you and your horse find more confidence with obstacles and tasks. Learning how to help your horse become more flexible and balanced with a better understanding of impulsion. The ground and ridden work at this level is in walk, trot and the start of canter work. Ridden work is getting more refined with the body aids. It is also the stage that liberty work can be started. Equipment: For good results with this stage a 22′ lead rope is required. Bitless riding with either halter/rope or natural rope hackamore or other modern bitless bridles that suits your horse. This level is for those that have already gone through stages 1 & 2. We start working with the 45′ line and long reins and the three gaits of walk, trot and canter are now used. Everything is becoming more refined and the liberty work is fun and checks our ‘connection’ with our horse. Ridden work is bitless either with a rope halter/clip on rope reins or a bitless bridle and we use much more subtle riding aids. The start of lateral work can now be applied when riding (which can be transfered to riding with a bridle/bit if you so choose to do at home). 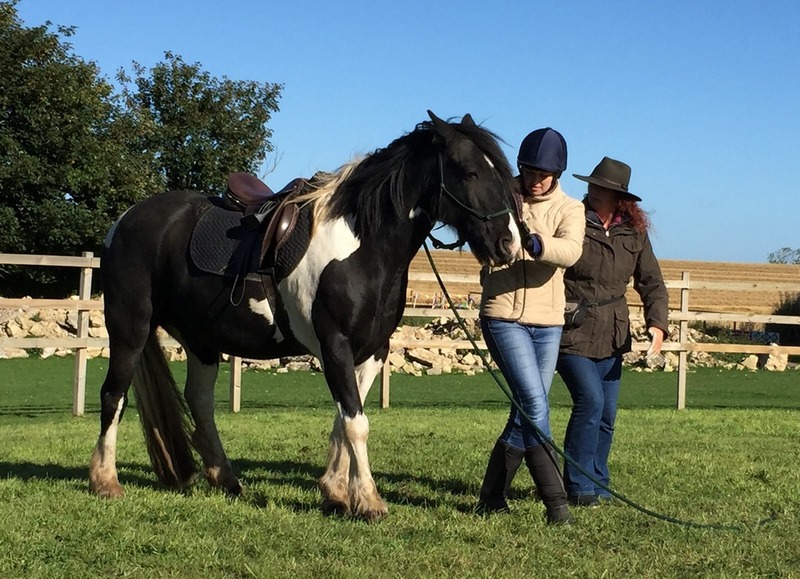 I personally teach riding lessons bitless to help reinforce the body aids but all ridden work is about getting that weight/seat/leg/hand connection with lightness. Equipment: For good results with this stage two 22′ lines (either heavy or light weight) are required and maybe a 45′ line and . Rope halters/clip on reins and modern bitless bridles are recommended. All lessons are at the students/horses own pace and unconfidence/fear issues worked on before accomplishing goals. I also am very safety conscious and insist on the wearing of hard hats for ridden worK. This also complies with my insurance agreement. I have Freelance Horsemanship Instructor Insurance.